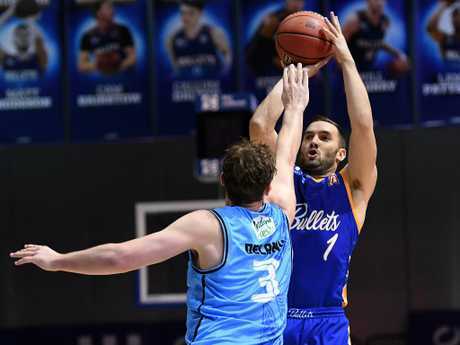 Brisbane guard Adam Gibson wants the Bullets to maintain their rage into Sunday's clash with reigning NBL champions Melbourne United. Training has been decidedly heated after the Bullets suffered two heartbreaking last-second losses to Perth and New Zealand in the space of three days last week. 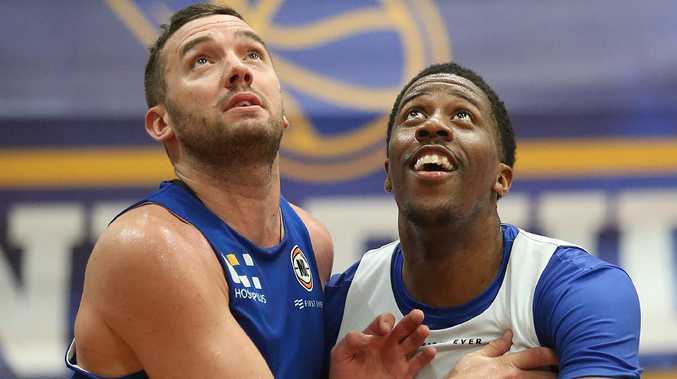 Brisbane could easily be sitting pretty inside the top four with a 6-3 record but the matchwinning daggers from Wildcats star Bryce Cotton and Breakers captain Tom Abercrombie saw the Bullets fall to fifth on the ladder after round five. The extra-hard edge and chirpiness at training is not a sign of a team crumbling. It is a product of a proud group that is hurting from two gut-wrenching defeats and demanding to be better than their 4-5 win-loss record indicates. Brisbane are rank underdogs for the match-up at Melbourne Arena but Gibson said if the Bullets carry the intensity from training into the game, they will give United a run for their money. "Things get heated when the boys are going at it at training which is a good thing for us. Nobody is happy about losing two games on the buzzer,'' he said. "We've had some long sessions that have been pretty intense and it's good to get a little bit narky here and there. "Training has been like that for a few weeks … it was like that before the home game against Perth when we got the win. Melbourne have depth to burn with import trio Casper Ware, DJ Kennedy and Josh Boone alongside with Boomers trio Chris Goulding, Mitch McCarron and David Barlow but Brisbane and United have had some torrid battles since the Bullets' rebirth. "They are always pretty close games. 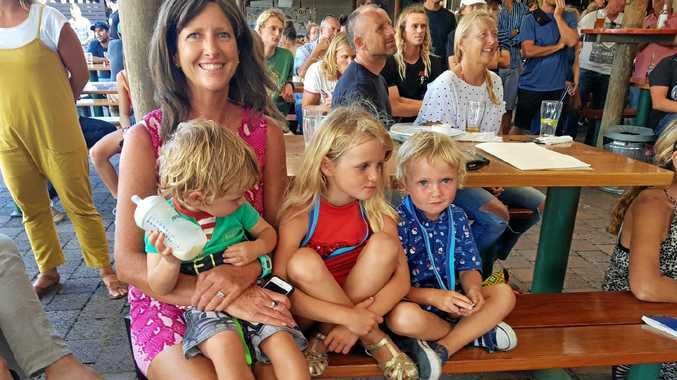 They've got weapons all up and down the floor and they are playing well so it's going to be tough but we know we match up pretty well with them,'' Gibson said. 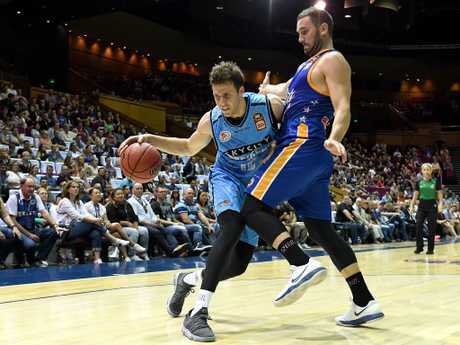 The 2012 Olympian and dual NBL title-winner was Brisbane's best in the loss to the Breakers with a team-high 17 points, four rebounds and four assists. He was both aggressive and deadly accurate at the offensive end including a perfect three from three from long range and four from four from the free throw line. When spiritual leader Gibson is up and about offensively to go with his defensive prowess, the Bullets invariably feed off him and fire. Free of the calf problems that have dogged him the past two seasons, he said the Bullets' willingness to share the ball and work hard for each other was creating plenty of opportunities. "I feel good physically. That allows you to do more. It's all about being aggressive but the floor is so much more spread so we can get open,'' Gibson said.